1. Roll EVERYTHING! While it might take more time in the beginning, it helps keep your clothes organized in your suitcase and keeps them from getting wrinkled. It also allows you to fit more into your suitcase! 2. 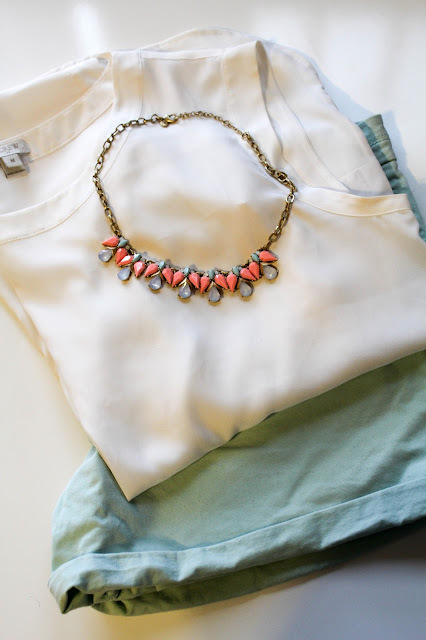 Start by planning outfits, then pack! 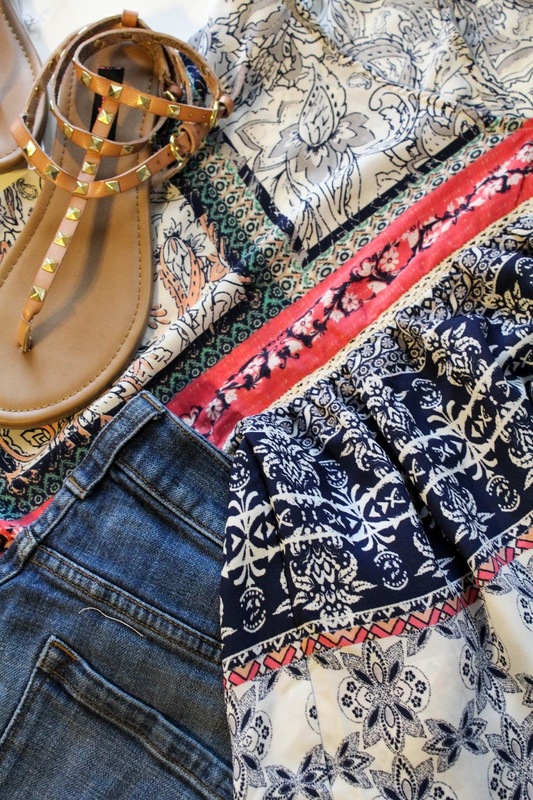 When you lay out outfits first, it helps you avoid packing things that you probably won't ever use. I always throw in a stack of things last minute because "But hey what if I might need a couple of extra tank tops, or a 5th pair of shorts"... I'm guessing you know what I'm talking about! By laying out outfits, you can pack just the right number without a million extra things. 3. 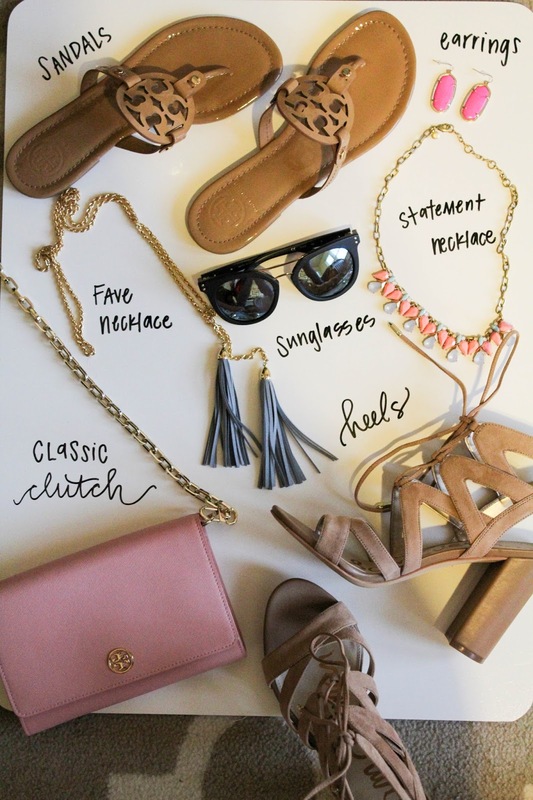 Pick a Few Accessories & Use Them for Every Outfit! 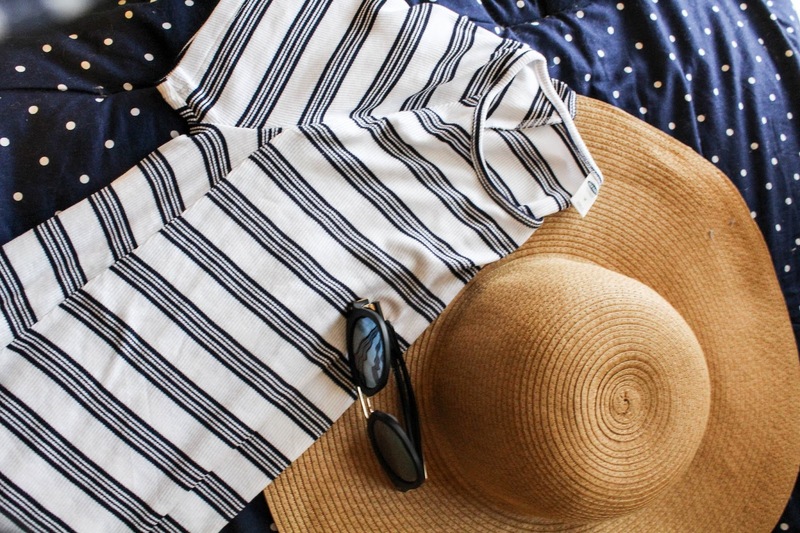 It's easy to pack extra accessories, but when you pick one of each type and re-use them in different ways for every outfit it avoids so much hassle! Also you'll be on vacation, the last thing you'll want to worry about is looking though your stuff so you can pick the right necklace :) These are some of my favorites: a simple but colorful clutch for a pop of color, a pair of everyday sandals, a pair of earrings to dress up any outfit, and fun sunglasses. 4. Pack your beach bag before you put it in your bag! 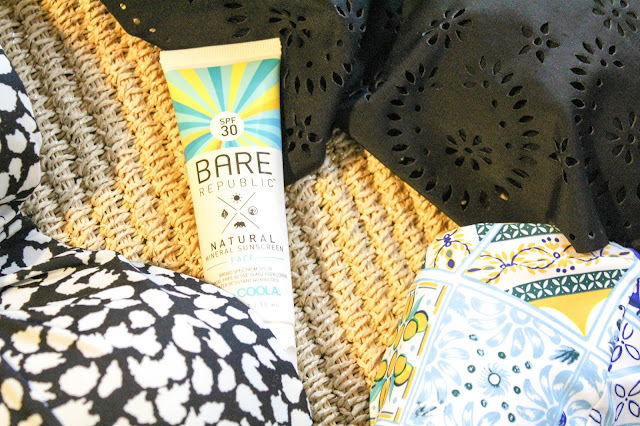 If you are going to use the space in your suitcase to bring a beach bag, you might as well you good use out of it. 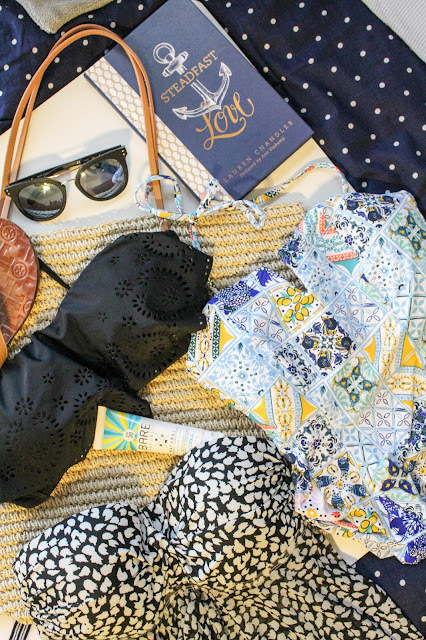 Some of my essentials for my beach bag include: a good book(this one is by Lauren Chandler, I'm super excited to read it), a sun hat, a few swimsuits, and sunscreen because even if you're trying to get a tan, the sun can be strong! 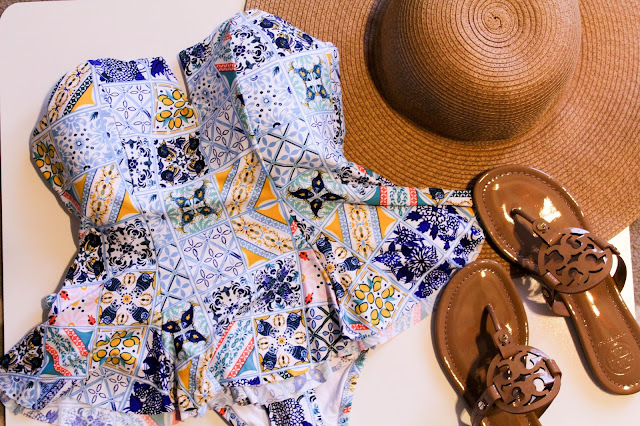 Put all the items in your beach bag before throwing it in your suitcase, that way you conserve space and it will be ready to go when you get there!! Hope these tips help- I'm heading to the Bahamas next week & will be using some of these tips myself! Also there probably won't be a post next Monday, but when I'm back from spring break you better believe that I will have TONS of outfits and pictures to share! !